For your favortie archer! Ornate-looking bow and arrow set. 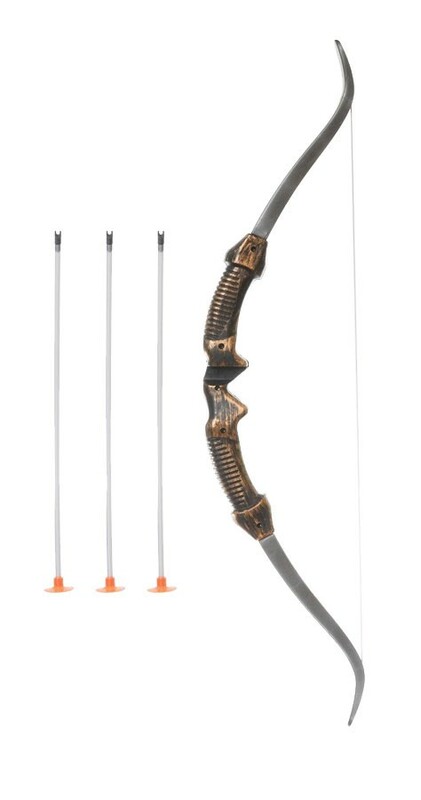 Comes with bow and three suction cup-tipped arrows. 24 inches long. This item was exactly as described. One very excited girl and it went perfectly with her Huntress outfit for Book Week Parade.